The Disney Resort Line is a monorail system that runs the perimeter of Tokyo Disney Resort and makes several stops along the way. It was opened in summer 2001, just prior to Tokyo DisneySea Park's opening. Adding a touch of Disney whimsy, the train windows are shaped like Mickey Mouse's famous silhouette, as are the hand-holds that hang down inside the cars. The monorail makes four stops: one close to Maihama railway station, one at Tokyo Disneyland, one near the cluster of official Resort hotels, and one at DisneySea. (I'm not clear on why they built a station at Tokyo Disneyland's entrance, as it is only a short walk from Maihama station. It is the best looking of the four stations though.) The monorails run at about 5-minute intervals—even more frequently during peek periods—so you never have to wait long for one to come by. If you want to ride the Resort Line monorail you will need to buy Disney Resort Line Monorail Photoa ticket. 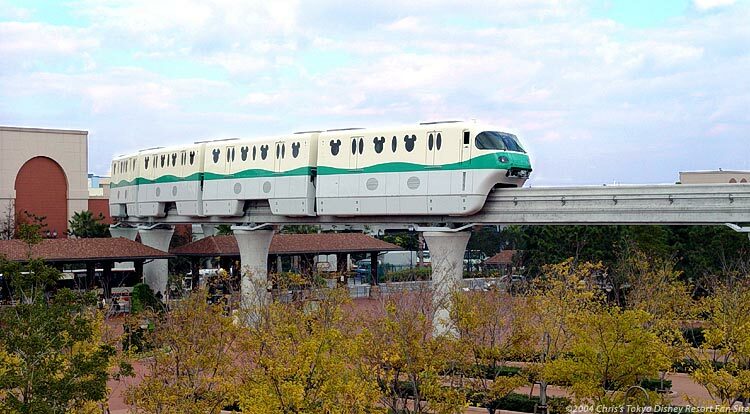 Although the monorail is owned by the Tokyo Disney Resort, it falls under the public transportation laws of Japan and is therefore operated like any other elevated or subway train (in fact, if you have a multiple-use subway pass, you can use it on the Disney Resort Line). It is interesting to note that unlike most other modes of public transportation in Japan, the Resort Line monorail train has no driver; it is computer controlled from a central location. (There is however a safety person that rides in the back of the train.) This means you're able to get a truly front-row seat in the front of the train—unless someone beats you to it. If you've been to either of the American Disney resorts in California or Florida you've probably ridden on a monorail, or at least seen them passing overhead. 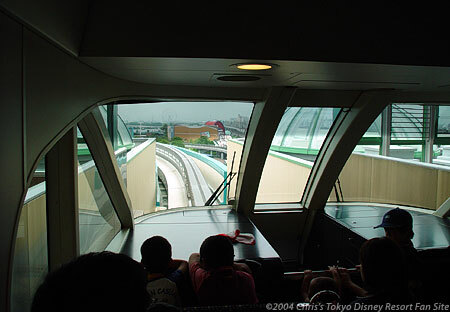 Tokyo Disney Resort's monorail system is similar, but built to Japanese public transportation standards and therefore larger than the American monorails. And while seeing a monorail in the USA is something of a novelty, Japan's public transportation system has been using them for decades. The Disney Resort Line is great not only as transportation to various areas of Tokyo Disney Resort but also for general sightseeing. If you're at or near the Resort and don't have time to visit one of the parks, you may want to hop on the monorail for a quick roundtrip tour.